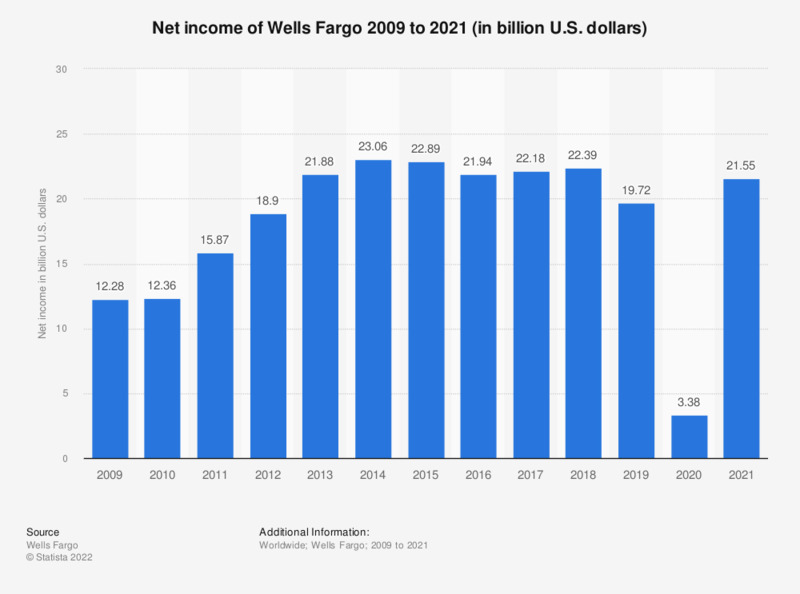 This statistic presents the net income of Wells Fargo from 2009 to 2018. The net income of Wells Fargo amounted to approximately 22.39 billion U.S. dollars in 2018. Data prior to year 2014 has been derived from previous annual reports. Statistics on "Sberbank Russia "